Tax season is among us y'all! It can be either good or bad. This year it was okay for me. I got some back, not like I did when I was in school obviously but it was still nice to have some extra cash coming in. Whether tax season is a good or bad time for you, it can also be a time where you need to be careful. I'm a pretty paranoid person, and the idea of inputting all my personal info on the internet like that scares me. Think about it, if you are doing your taxes online you are inputting things like your social security number! And if you are a family you are putting all your family's social information. Well in comes Norton Security, its going to make sure you and your family's info is protected during tax season, and any season for that matter, so protect your digital presence with Norton Security. They a solution on all devices for all your family's needs! 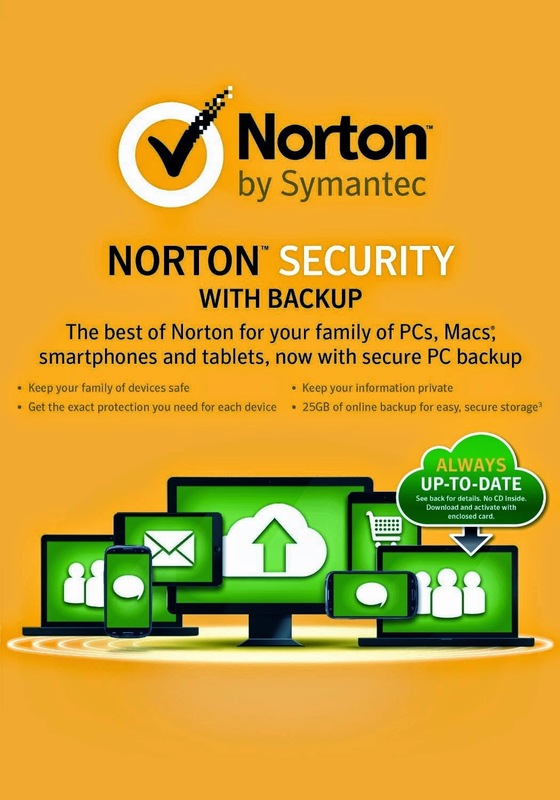 Coupons.com Norton coupon codes can even save you money when getting Norton Security! Not only are you going to be protected but you are saving money doing it! All around an amazing deal! What's really cool about Norton Security is that its not just for one type of person, and one type of device. The Norton Customer is everyone! They really will protect you, no matter what device or stage you are in your life or career. They also have Norton Security with Backup! What is that you might ask, and do I need it?